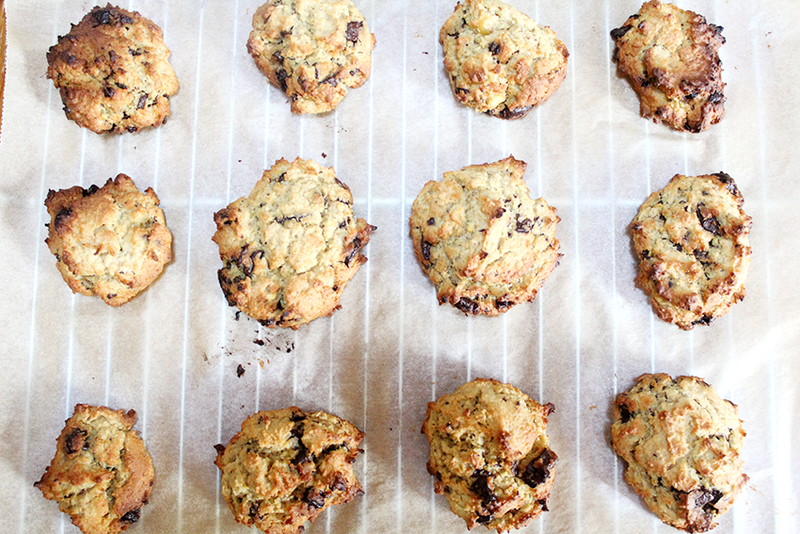 CHICKPEA CHOCOLATE CHIP COOKIES | RAWR BOWS. I'll be the first one to say that, as much as I love a good chickpea salad, I do think it's a bit weird to use them in desserts. But after seeing a few recipes online and people raving about it, I decided to give it a go and test it myself. 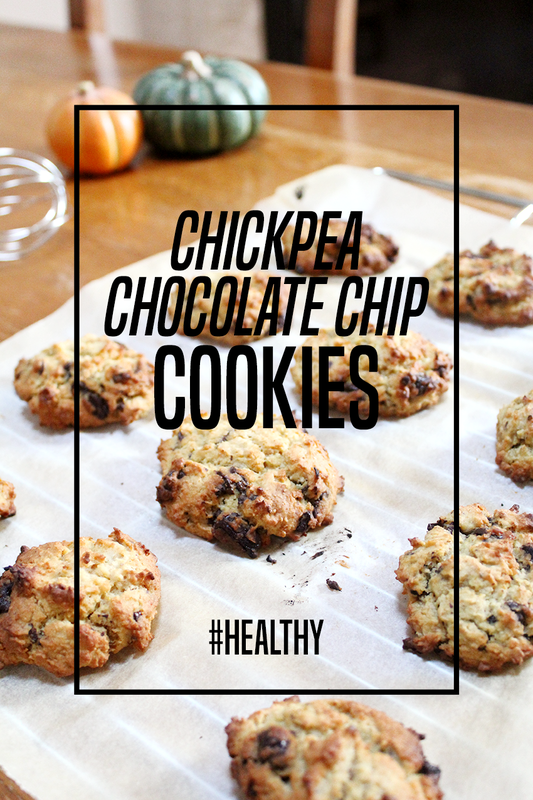 After all, who can say no to healthy cookies? I loved them, my family loved them, my friends loved them. Everyone loved them, even those who are not a fan of my healthy baking. So, even if you don't usually are one to try healthy desserts you should give this a try. They are soft, sweet and do not taste like chickpeas. Trust me. Start by cooking and draining the chickpeas. Using a food processor, process the chickpeas, vanilla extract, olive oil, salt and baking powder until it's smooth. In a medium bowl, add the flour and the sugar. Fold until everything is mixed. Finally, add the chocolate chips and mix. You can also add nuts or dried fruit, or basically anything you like in cookies. On a lined baking sheet, scoop the dough and flatten the cookies a bit using wet fingers as the cookies won't expand much by themselves. Bake at 180 degrees celsius for about 20-25 min, until the top of the cookies begins to crack and the edges are dry to touch.